Step 1: Click on Stats on the left navigation. Step 2: Click on the Websites tab just below. 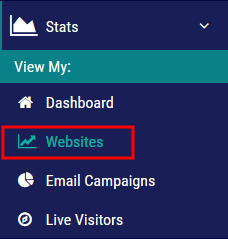 Choose which URL you would like to view your statistics for by using the URL drop-down. You can view stats for today, the last 7 days, the last 30 days, or a certain time period by using the Date drop-down. Below is a breakdown of what the stats mean. This graph shows you how many new and repeat visitors you had during the day, week, month, or a certain time frame. Page view stats breaks down how many unique visitors you have on web pages as well as how long a user was on a page and how many times they went on the page. This information can be helpful in determining what web pages are the most popular as well as determining the interest(s) of a particular user. Traffic Sources breaks down how many visits you received to your and website and from where such as search engines, direct entries, campaigns, websites, keywords, social networks, etc. The devices used stat shows how many of your unique visitors are viewing your website using a desktop (or laptop computer), smartphone, or tablet. Website “Locations” breaks down your unique visitors by location. This stat breaks down how many unique visitors you received from which search engine(s). Keywords are single words or strings of words, that represent the content of a web page and how people ask for web content. Keywords are strategically selected by optimizers and are intended to help your web content communicate in a way that resonates with humans and Google search spiders. Keyword Stats: detailed statistics about the relevance, popularity, the number of search results, and the top keywords. A referrer is a website that recommends your website from their site. 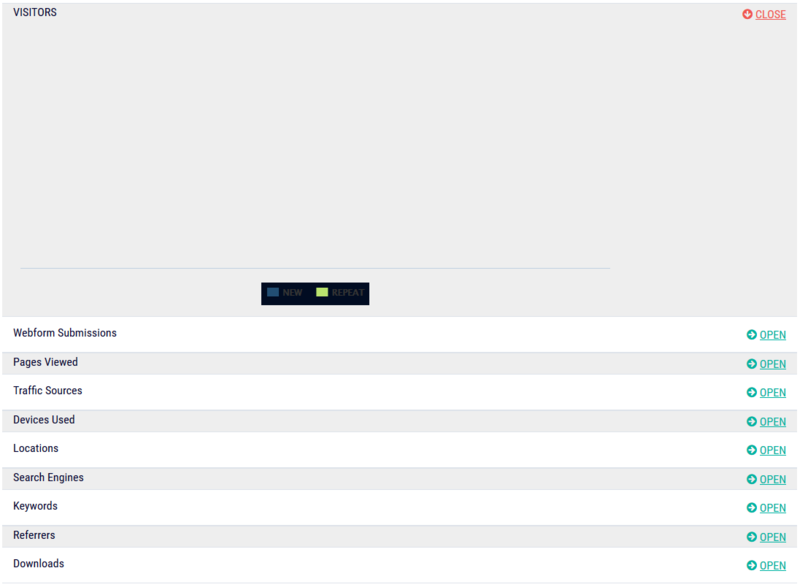 MDC DOT helps you view these referrers, which then add to your understanding of how customers find your website and what they do once they get there. Referrer traffic can be a strong indicator of which external sources are most valuable in helping your business achieve its goals, proving once and for all, for example, whether your Facebook page really does add value. Download stats shows how many times certain files were downloaded. Click here to learn about your Live Visitors tab.